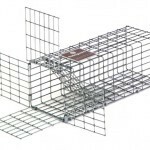 PRODUCT DESCRIPTION: 3.5" x 3.5" x 10" design that has wire with a .5" x 1" mesh. It's 16 gauge steel and has 4 "wings" to ensure solid install. A one way gate let's gray, red, flying squirrels and other small animals to easily exit, but prevents them from returning. 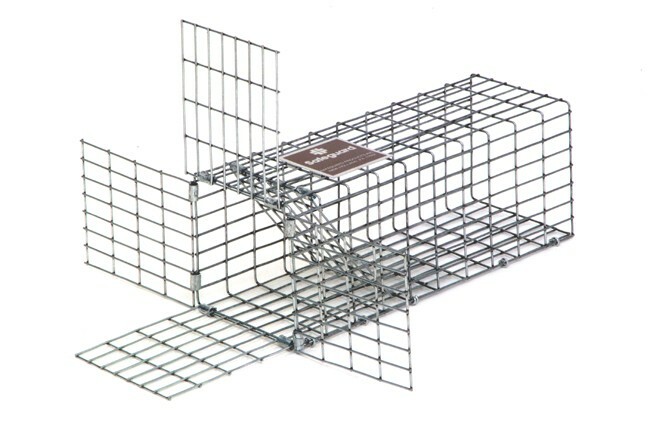 Best when used with a repeater trap like our (822303) 3.5" x 3.5" x 24" to relocate problem animals. This is essential if you do not intend on sealing/excluding all potential access points.